Other then not being the best on road (obviously), there aren't really any weaknesses. Good for the price but constantly getting pinch flats and the side knobs started ripping off in just a few rides. And the knobs are still looking new! Just had them for about 2.5 months. Overall not very happy. Cheap. Cheap. Long wearing, great grip, tough sidewalls. I am riding the 26 x2.35's I am pretty sure they are wire bead. I just bought one for $9.99, but would have paid twice that. (which equates to about 1/2 of a normal tire). I like these tires on both my hard tail and my FS RMB ETS-X. I run them at between 18-21 psi rear only. I don't particularily like them front, but for rears? DAAAAAAAAMMMMN! These are one of the few tires where I will be riding and think that they are too soft, and check to see I am running 16psi without a flat. They are a great all round tire if you are not concerned about weight, which I am not. You can't have the best of both worlds in a tire. They are the bike equivalent of a light truck tire; they are tough, and that is their most important factor. Personally I feel that I would rather have the grip afforded by running a low PSI than a lighter tire. The sidewalls are TOUGH! on the wire bead version anyway, so i can ride them for true all mountain riding. I am lightish (155 lbs.) and try to ride with some finesse. I have a lot of miles on these tires. They wear really well. What can I say. Either you'll love 'em or hate 'em. I love em! Good mud grip, durable, decent tarmac traction, not too heavy. A bit buzzy when riding on tarmac. This is a great tire for hitting the trails. Mud traction is excellent, the grip is there when needed. If it gets too muddy, the tires will give you good feedback on how much grip it can deliver. These tires are also good in snow, actually they're great in snow. I can confidently ride my bike fast on snowy surfaces. Tarmac riding is different, obviously not built for tarmac but it rides decent enough, infact 60% of my riding is on tarmac and its not too bad. Hard cornering on pavement can be achieved but do it cautiously as the side knobs do limit cornering traction. Hard cornering on trails is great because the side knobs bite into the dirt nicely. Usually knobby tires will wear out more quickly but I've put a little over 2500km on them and they still have about 50% tread left. 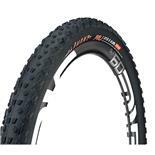 Over all its a good tire, the perfect tire for cross country trail riding. Good grip, good all rounder. These would be 5 stars if the rubber were a little bit stronger. they puncture a little too easy. Other than that these are great all rounders! 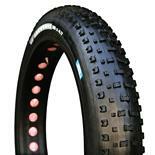 These Tyres have a good amount of grip and are wide for more DH control. The rubber in these tyres is so soft that these tyres were punctured on a thorn which went straight through the wall. they are the least reliable tyres i have ever used! Great tires for the price that i got them and are good AM light freeride/downhill tires as long you try to stay off the road and dont ride steps. 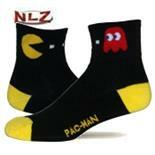 If you get them for a good price defiantly buy them. Very grippy,lots of volume,havnt pinch flatted yet, hold air well once you put it in. relatively light. definetly squirms at speed when riding on pavement, thats about it. i do mostly Dj/4x and urban/freeride with a little bit of everything else... and i have found these to be relatively light and full of grip. i find that they clear mud very well once you get up to speed. as i said they also hold air well, i lost my presta adapter about 2 weeks ago, and they havnt lost any air yet. 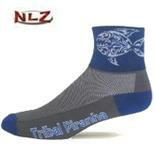 good for rough trails/ aggresive 4x, not os much for pavement due to drag/squirm. buy em cheap, run at a lwer pressure, and youll have a great tire. These came stock on my bike. They were fine for a begining rider. I thought they were a little narrow for my needs (26x1.95). I rode them on hard pack and loose rocky surfaces. The tread could use a little work. It didn't seem very agressive. I only took them off because I won a set of Scott Cougars (26x2.25) in a race. I plan on putting them on a Buddy Bike. If you can get these for a good price, Go For It! But don't expect to use them for serious riding. There are much better, (and worse) tires out there.